"Yes!" is the most beautiful answer to the right question! Will someone get married and you are still looking for an original and personal gift? That's it! This wedding Artprint is guaranteed not only to impress the bridal couple. 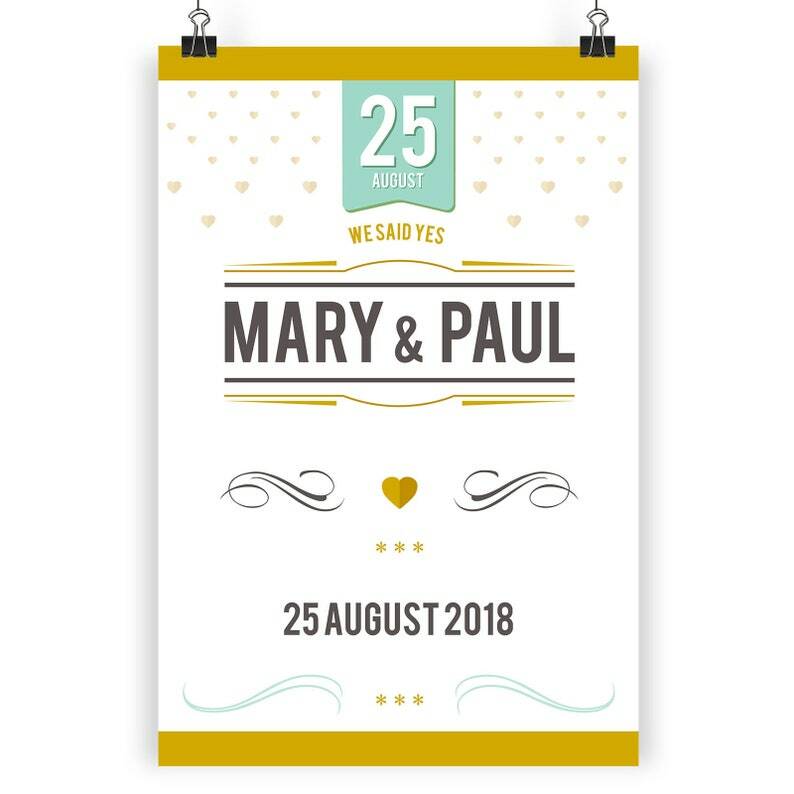 Simply tell the name and the wedding date and we will make your Artprint by hand with a lot of love.